It's no easy task to sum up the beauty of this Pyrenean valley in the county of Ripollès. It's a breathtaking natural setting, ideal for all kinds of mountain activities, including skiing in the Vallter 2000 resort, a real classic. 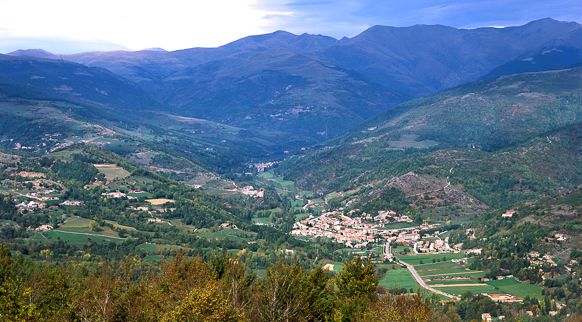 Fully integrated in the landscape, the valley's towns are sure to delight you. Discover the mediaeval charm of Camprodon, making sure you get your photo taken on the picturesque 12th century bridge. Llanars, Vilallonga de Ter and Setcases also boast stunning settings, small historical centres and ancient churches that are must-see attractions. Sant Pau de Segúries offers you a stroll along the Roman road of Capsacosta. And right on the border with France, you'll fall in love with Molló thanks to its high mountain setting and quintessential Pyrenean appearance.